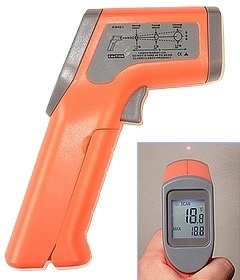 This non-contact infrared digital thermometer is quick and simple to use with a large, easy to read, LCD display. It can measure temperatures in the range -32 to 380°C, with 0.2°C resolution. 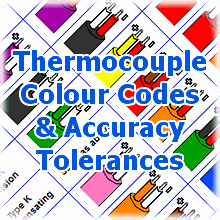 Each unit comes with its own UKAS calibration certificate, showing results at -20, 10 & 250°C, giving you full confidence in its measurement accuracy. When you press the trigger a laser dot appears to aid aiming and the display shows current and maximum measured temperature, when the trigger is released the display holds the values for 10 seconds.